Wondering how you can get your music heard by the OpenAir staff? 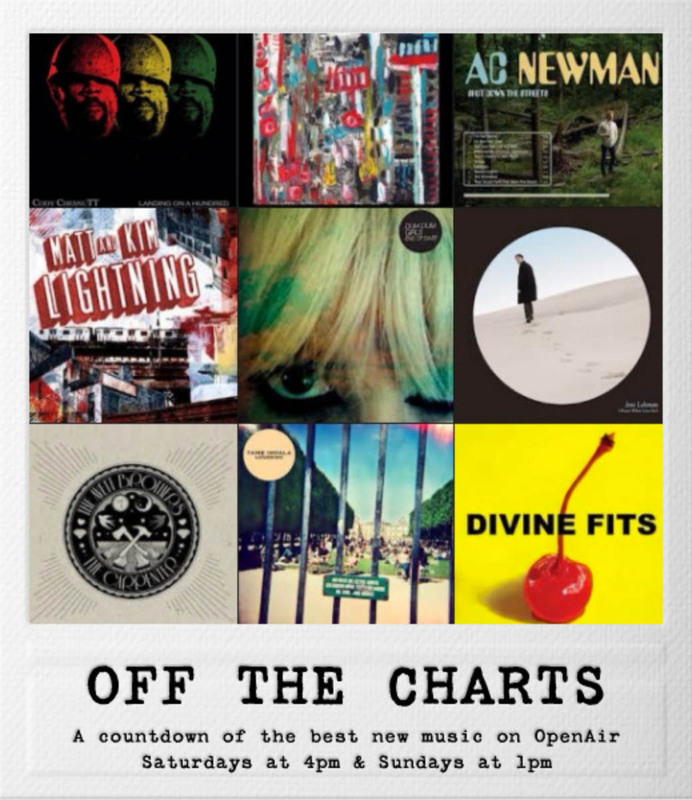 Join Alisha Sweeney every weekend for a review and count down the best music of the week from our OpenAir charts! Saturdays at 4 pm and Sundays at 1 pm. Zach Heckendorf is a 19 year-old Denver native that graduated from Cherry Creek High School just over a year ago. He stopped by The CPR Performance Studio to talk with Alisha. Zach is headlining at the The Ogden Theater in Denver on Friday, November 23rd. The four sisters of SHEL grew up on a steady diet of classic rock and classical music. All classically trained, Sarah, Hannah, Eva and Liza began playing musical instruments well before their teenage years. SHEL will perform live in Denver at the Soiled Dove Underground on Sunday, November 18. The four sisters of SHEL grew up on a steady diet of classic rock and classical music. All classically trained, Sarah, Hannah, Eva and Liza began playing musical instruments well before their teenage years. The Legendary River Drifters visited the CPR Performance studio. Listen to the interview and full session here! It's been a great year for local trio Flashbulb Fires, their sophomore album Gasconader has received rave reviews, and they've been touring extensively to support its release. They stopped by for a studio session.